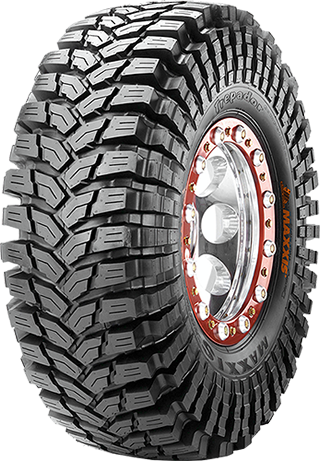 Designed to conquer off road terrain with ease , the Trepador features a conformable bias-ply casing with ultra aggressive sidewall design for excellent off-road traction on sand and rocks. To improve on-road stability and performance, the tire also features nylon belt reinforcement for extra high-speed stability while improving puncture resistance. Features & Benefits include the following: Heavy-duty bias ply construction for excellent durability and tread flexibility. Multi-curve tread siping improves traction on loose dirt and slippery terrain. Unique tread element arrangement ensures a uniform tread contact area for maximum road contact. Aggressive side lug design provides improved side-bite on difficult off-road and rocky terrain. Nylon belt-reinforced tire construction improves puncture resistance and durability. DOT ? Approved.